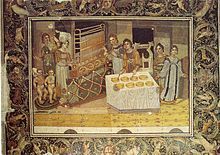 The region remained one of the most important provinces of the Byzantine Empire. 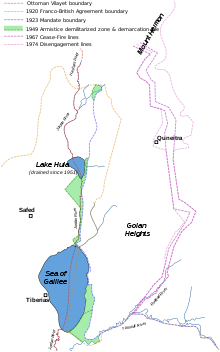 It was occupied by the Sassanids between 609 and 628, then recovered by the emperor Heraclius, but lost again to the advancing Muslims after the battle of Yarmouk and the fall of Antioch. The Speaker of the People's Council of Syria represents the People's Council, Syria's legislature, signs documents and speaks on its behalf. Throughout its history, the Speaker has been responsible for representing the Council. As of 2017, 30 different people have served as speakers. The Syrian Army, officially the Syrian Arab Army (SAA) (Arabic: الجيش العربي السوري‎, translit. 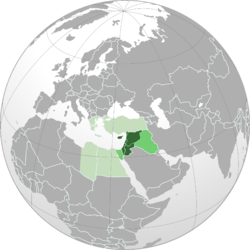 al-Jayš al-ʿArabī as-Sūrī), is the land force branch of the Syrian Armed Forces. It is the dominant military service of the four uniformed services, controlling the most senior posts in the armed forces, and has the greatest manpower, approximately 80 percent of the combined services. The Syrian Army originated in local military forces formed by the French after World War I, after France obtained a mandate over the region. It officially came into being in 1945, before Syria obtained full independence the following year. The Mandate for Syria and the Lebanon (French: Mandat pour la Syrie et le Liban; Arabic: الانتداب الفرنسي على سوريا ولبنان‎ al-intidāb al-fransi 'ala suriya wa-lubnān) (1923−1946) was a League of Nations mandate founded after the First World War and the partitioning of the Ottoman Empire concerning Syria and Lebanon. The mandate system was supposed to differ from colonialism, with the governing country acting as a trustee until the inhabitants would be able to stand on their own. 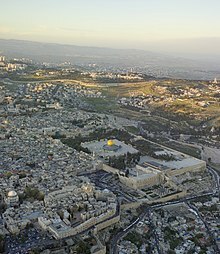 At that point, the mandate would terminate and an independent state would be born. ... that Kimmie Taylor of the Kurdish YPJ is the first British woman to travel to Syria to fight ISIS? ... that Timber Sycamore is a covert CIA program that arms and trains rebels in the Syrian civil war? ... that Syrian dissident and human rights activist Nizar Nayyouf won the UNESCO/Guillermo Cano World Press Freedom Prize while in Mezzeh prison? 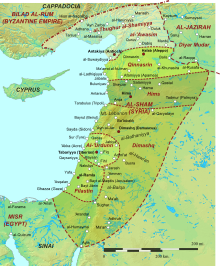 ... that Isa ibn Muhanna, the commander of the Bedouin of Syria, was praised for securing the Mamluk victory over the Mongols at the Second Battle of Homs in 1281? ... that the six-year reign of the caliph al-Muktafi saw the Abbasid Caliphate recover the territories of Egypt and Syria, marking the last revival in its fortunes before its collapse? ... that Ottoman parliament member Shukri al-Asali galvanized Syrian-Arab opposition to the empire’s Turkish-centric policies and was in 1916 executed by the government? Do you have a question about Syria that you can't find the answer to? 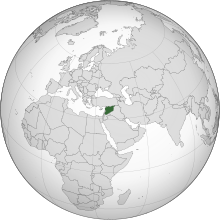 For editor resources and to collaborate with other editors on improving Wikipedia's Syria-related articles, see WikiProject Syria. This page was last edited on 2 April 2019, at 00:11 (UTC).